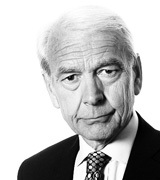 John Humphrys - Bercow: Should the Speaker Go Now? October 17, 2018, 3:25 p.m.
John Bercow, the Speaker of the House of Commons, is under pressure to resign – and to do so now—after a damning independent report into a culture of bullying, abuse and harassment in Parliament. Mr Bercow has been accused personally of bullying. He denies it, but calls for his resignation rest more on the point that he is the figure who has presided over the Commons for nine years and therefore is no position to clean the stables. His supporters say that with the Brexit process about to enter a critical period during which Parliament will have a major role to play, now is not the time to be electing a new Speaker. So should he stay or should he go? Earlier this year, following accusations of bullying by two of the Speaker’s former private secretaries (which he denied), the House of Commons commissioned a report on harassment of Commons’ staff more generally from a retired high court judge, Dame Laura Cox. She published her report on Monday. In it she wrote of an ‘insidious and pervasive culture of harassment’ in which women staff reported being abused in ‘vulgar, gender-related terms’, of having to endure ‘inappropriate touching’, and of men ‘trying to kiss them, grabbing their arms or bottoms or stroking their breasts or bottoms’. Dame Laura spoke of ‘urgent and serious problems’ in a workplace where MPs seemed to assume ‘God-like status’ and where staff were belittled and sworn at ‘almost daily’. Clearly, she added, such a culture needed to end. But her most telling conclusion was that it could not be changed if it was left to those currently in charge to bring that change about. She wrote: ‘Delivering fundamental and permanent change will require a focus and a genuine commitment on the part of the leadership of the House. However, the inescapable conclusion from the views expressed during this inquiry is that it will be extremely difficult to build confidence that there will be fundamental change when the levers of change are regarded as part of the change that is needed’. Although she did not call for Mr Bercow (or anyone else) to resign her conclusion seemed to many to point inescapably to such an outcome. That certainly was the verdict of Sir Kevin Barron, the veteran Labour MP and retiring chairman of the Commons standards committee. He wrote: ‘The change in culture has to come from the top, and unfortunately I no longer believe that the Speaker, John Bercow, is the correct person to provide that leadership, so he should step down’. The Conservative chairwoman of the women and equalities committee endorsed this view. She told Mr Bercow to his face in the chamber that he should resign. She said that the report was ‘a damning indictment of the leadership of the House of Commons and that includes the Speaker’. The problem for Mr Bercow is not just that he has presided over the Commons during the period in which the behaviour reported to the inquiry is alleged to have happened. It’s that he too has been the subject of accusations of bullying. Earlier this year it emerged that one of his former private secretaries had been paid £86,250 and signed a non-disclosure agreement back in 2010 after he claimed to have been bullied (again, something Mr Bercow denied). In response to Dame Laura’s report Mr Bercow has broached the idea of a further independent inquiry. He’s also reported to have told friends that he aims to retire anyway next summer after having served ten years in the job. When he was first appointed he said he would serve for nine years but when the deadline came and passed in June this year he let it be known he felt he should stay on because of the sensitive role the Commons is likely to play in the endgame of Brexit. The Commons could find itself in an unprecedented position of influence if and when the government brings a deal before the House and MPs are given a ‘meaningful vote’ on whether or not to accept it. The Speaker may have to rule, for example, on whether the government’s motion can be amended and even preside over a situation in which the Commons cannot find a majority for any course of action. This is exactly the argument that is being used by those MPs who feel that the Speaker should not resign. Emily Thornberry, the shadow foreign secretary, said on Tuesday: ‘I think that this is absolutely not the time to be changing Speaker. We don’t know, for example, with regard to Brexit, what is going to happen: whether there is going to be, technically, an amendable motion or not, whether it will be the Speaker’s discretion as to whether it is’. Dame Margaret Beckett, a former Labour foreign secretary, said: ‘Abuse is terrible, it shouldn’t happen, it should be stopped, behaviour should change anyway – whether the Speaker goes or not. But yes, if it comes to it, the constitutional future of this country, the most difficult decision we’ve made possibly for hundreds of years, yes it trumps bad behaviour’. Some argue, however, that this case is overdone. They point out that the Speaker does, after all, have experienced deputies who could do the job were he to go. On the other side, some are even arguing that the call for Mr Bercow to resign itself constitutes bullying. The next key moment will be on Monday when the House of Commons Commission, which Mr Bercow chairs, meets to consider the report. It will be the moment when its other members will have to decide whether Dame Laura’s case is so strong that the Speaker needs to be forced out straightaway, or whether the continuing uncertainty over Brexit is sufficient to require him to stay in place until the Brexit drama is over. What’s your view: should John Bercow be forced out of the Speaker’s chair now or not?